Music can be synced from computer to iPhone via iTunes, but what if you want to transfer them from your device to the computer? Sure you can make a backup and play the music in iTunes but you will not be able to play in other media player. Then you need an professional data or media transferring program that enables you to move music from iPhone to PC. iOS Transfer is a powerful data transferring software that we strongly recommend to you. With TransPhone, you are free to remove any data like applications, videos, photos and of course music from iOS device to computer. Now free download the program by clicking the small icons below. Easy Guide: How to Transfer Music from iPhone to Your PC ? Download, install the iPhone Manager - iOS Transfer, then you can connect Apple devices to computer. And you will see the summary information of software interface, such as playlist, music, movies and more. Click the "Music" on the left column, you will see all of musics in your Apple device, then choose what music you like to transfer just click the blockage on the left of music fies. Click the "To PC" button, you will see the browse for folder, after you have chosen where you want to put your music files in computer, just click "OK" then this will start the transfer of music from iPhone to computer. Now you can play your music in your computer. Kindly remind, TV show, Videos, iBooks etc also able to be transferred with the help of iOS Transfer. Our program is compatible with all iPhone, iPad and iPod as well as both Windows and Mac system. Wanna explore more function about iOS Transfer (Mac)? Free download the program, install and run it on your computer. Try to transfer all the files you want from iPhone to computer. Save and enjoy them in your PC. Copyright © 2019 iPhone-Mac.com. All rights reserved. iPod®, iPhone®, iPad®, iTunes® and Mac® are trademarks of Apple Inc., registered in the U.S. and other countries. 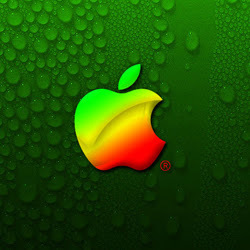 iPhone-Mac.com is not developed by or affiliated with Apple Inc.